Comment: U shaped driveway with leg to garage. Comment: Removal of old concrete to install new from deck to garage ( 12' x 12' ) and possible ( 12' by 10' ) if it fits budget. Comment: Need a small part of back yard concrete removed. The majority of it can be lifted with a shovel because it is thin bricks. Comment: Wood retaining wall between our property and the property next door is being pushed down from their side. it is backed by sand which will spill onto our property if the retaining wall fails. We need suggestions on how to proceed and what can be done to remedy the problem. Norfolk Concrete Contractors are rated 4.76 out of 5 based on 554 reviews of 14 pros. 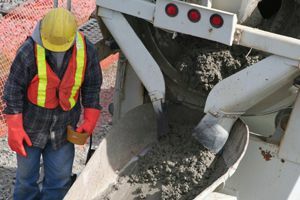 Not Looking for Concrete Contractors in Norfolk, VA?